GMA News' coverage of super typhoon Yolanda is among the 46 honorees at this year's Peabody Awards. 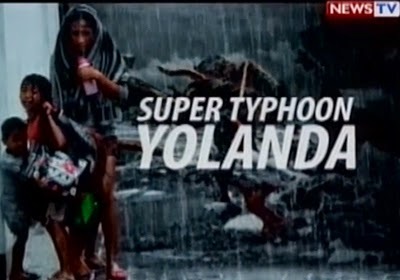 The award-giving body made the announcement on Wednesday, describing the network's coverage as follows: “Facing logistical challenges and sharing in the national shock in the face of what may have been the most powerful typhoon in history, GMA news teams provided desperately needed spot news coverage and information, gaining strength and perspective as they worked, and followed up with solid reporting on the aftermath, heroic acts and relief efforts." This marks the fourth time that the Kapuso Network won a Peabody — considered in the journalistic community as the "Pulitzer Prize" for broadcast and electronic media. In 1999, the network took home its first with “Kidneys for Sale” and "Kamao," followed by Kara David's documentary "Ambulansiyang de Paa" in 2009. Last year, GMA News TV's Reel Time snagged another trophy for its "Salat" (Bone Dry) documentary. The 73rd Annual George Foster Peabody Awards will be formally presented on May 19 at the Waldorf-Astoria in New York City.